It was August 2009 when we got our first look at the Nissan LEAF. Now just 8 years later, and after some 7 years of retail sales, the next generation has arrived. So lets not bury the lead, the 2018 Nissan indeed gets more range - and it is exactly the "more range" we have been pounding the table on for the past ~2 years. There will ultimately be two battery choices available, a base 40 kWh offering at launch, and an optional 60 kWh pack. The 40 kWh is pegged to get an EPA-estimated 150 miles of range (400km/248 miles on the optimistic Japanese metric - JC08) - a 40% gain. With that said, Nissan will only be making the 40 kWh available out of the gate, the 60 kWh battery (with reportedly better performance as well) arrives in the second half 2018 - as a 2019 model. 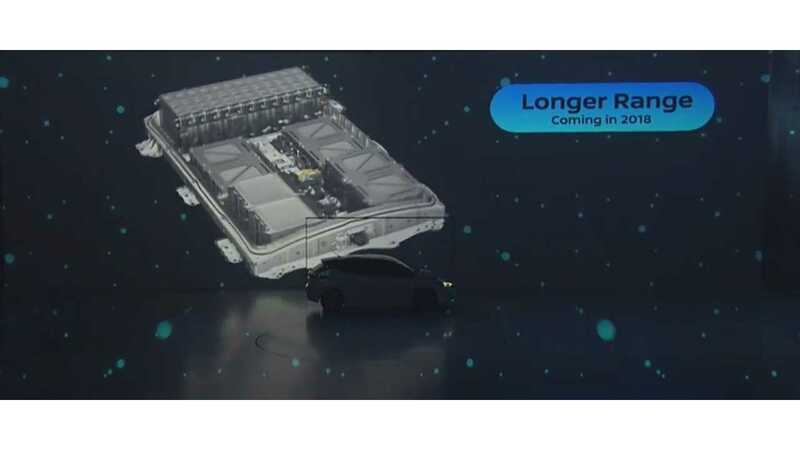 Given the way math and weight works for plug-in vehicles, if the 40 kwh LEAF nets 150 miles, the 60 kWh version is estimated to be somewhere around 220-225 miles of range. 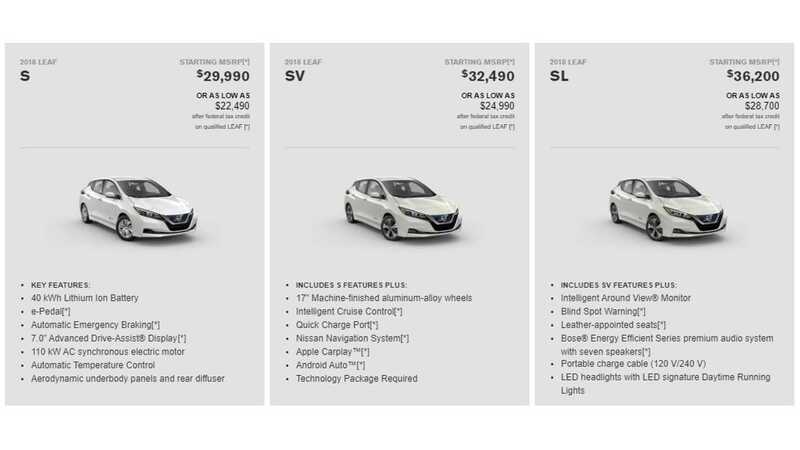 Pricing begins, as expected, from $29,990 in the US (more pricing/specs below) - which of course means, "Hello $199/month lease deals practically right out of the gate". Also of note: In Canada, the LEAF starts at $35,998 (~$29,000 USD) and again comes with better base options (such as standard DC fast charging, "All Weather Package" - heated seats/steering wheel). 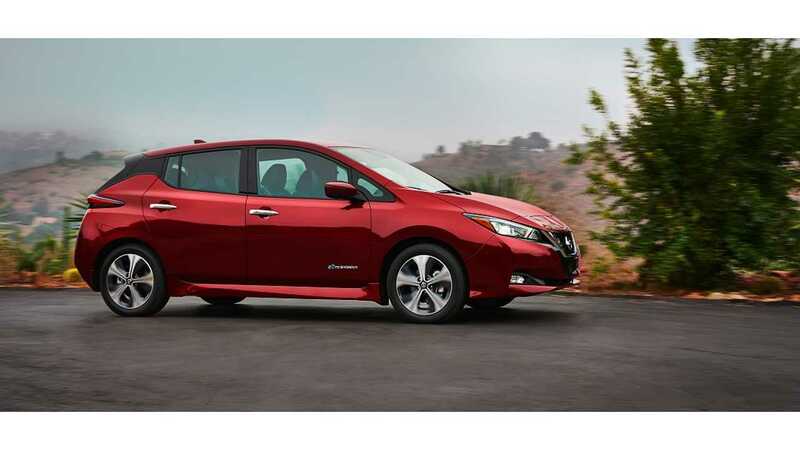 "The value equation for the new LEAF is even stronger than ever before – beginning with a starting MSRP1 under $30,000. 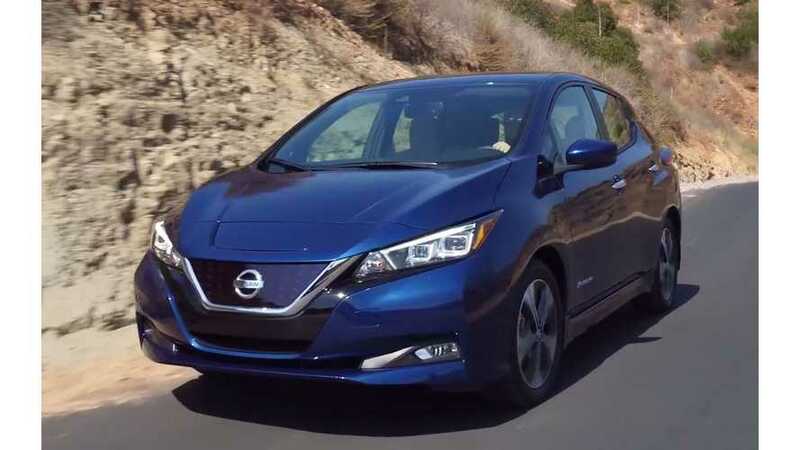 That's a lower price than the LEAF in market today and it includes more power, range and technology, all wrapped in a beautiful new exterior and interior design." This the improved look, range and sharper pricing, Nissan expects sales to double or even triple (if not more) in 2018. Only time will tell if this prediction comes true...although we suspect if Nissan stocks the 2018 LEAF well, it shouldn't have any issues with putting up some pretty decent numbers. On the performance side, things have improved there as well with a motor inverter (and maybe a software) tweak. 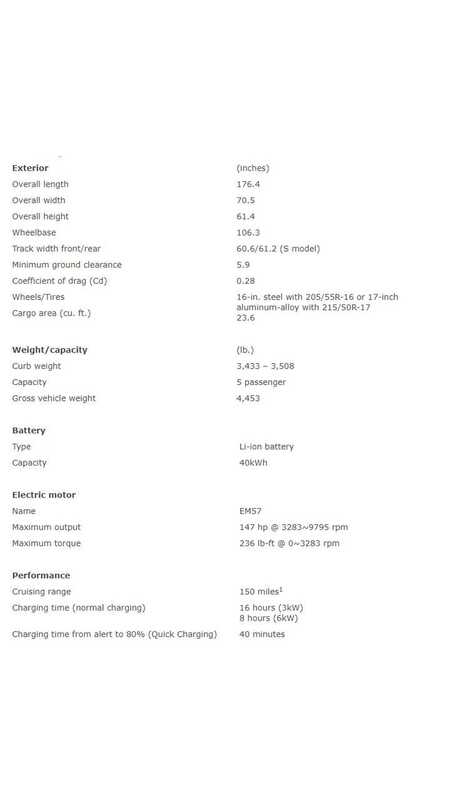 The 2018 LEAF nets 147 horsepower and 236 pound-feet of torque (up from 107 hp and 187 lb-ft in the current model). As a result, Nissan says the 0-100 km/h (0-62mph) time has been cut by 15 percent. As a point of reference, when we tested a 2017 LEAF to 60 mph, we netted a time of 10.3 seconds; so a 15% gain from that point would be 0-60 mph in ~8.9 seconds. New Nissan LEAF sales start first in Japan in October, while the US first deliveries could happen in late December (although in press the company is officially saying early 2018). We should note the LEAF will be available in all 50 states immediately in early 2018. The most advanced e-powertrain The 2018 LEAF offers a range of 150 miles1, allowing drivers to enjoy safer and longer journeys than the previous-generation vehicle. The new e-powertrain is rated at 147 horsepower and 236 lb-ft of torque, providing improved acceleration and driver enjoyment. Evolved driver assistance technologies The all-new LEAF features two new intelligent driving technologies in the North American marketplace. ProPILOT Assist driver assistance technology, used during single-lane highway driving, helps makes a journey easier, less stressful and more relaxing. 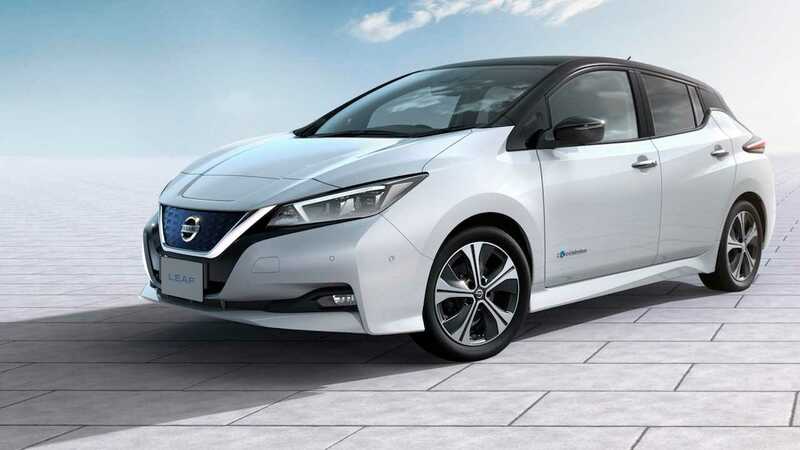 Exterior design: sleek silhouette and "cool tech attitude" The new Nissan LEAF's design includes a low, sleek profile that gives it a sharp, dynamic look. Along with excellent aerodynamics, the styling – from the sleek silhouette to the car's "advanced expression" – evokes the exhilaration of driving an EV. Familiar Nissan design features include the signature boomerang-shaped lamps and V-Motion flow in the front. 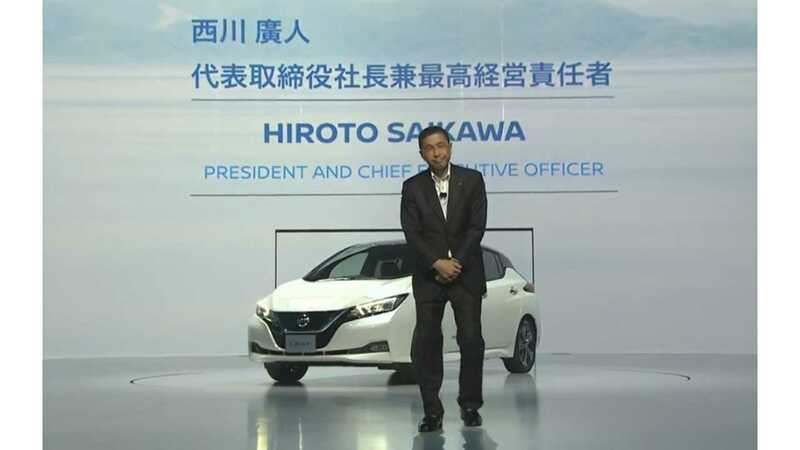 The flash-surface grille in clear blue and the rear bumper's blue molding emphasize its identity as a Nissan EV. Interior design: premium ambience with a clean, relaxed, high-tech feeling The LEAF's completely redesigned cabin is focused on the driver, featuring a front panel in the form of a "gliding wing." It combines an excellent use of space with functionality.